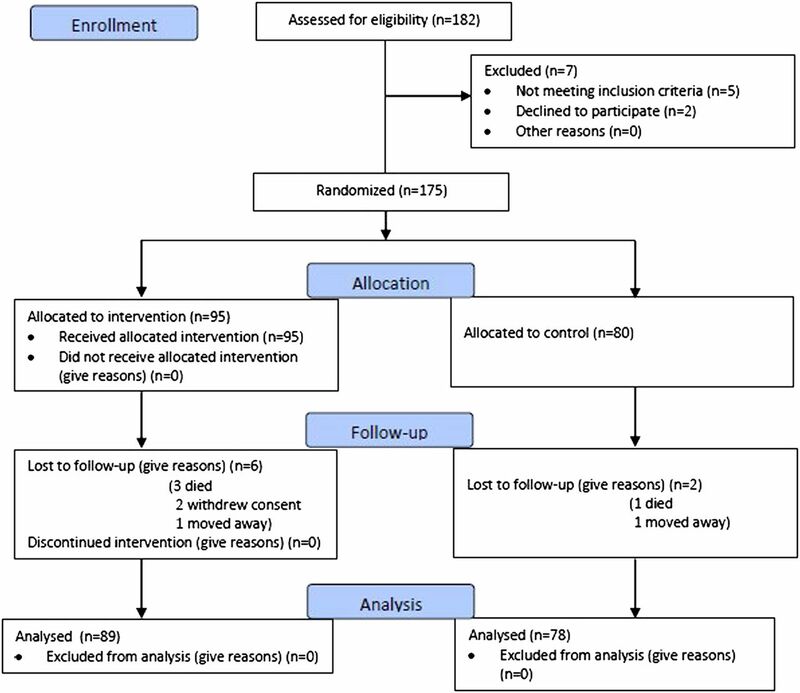 Objective To determine the effectiveness of a patient decision aid (PDA) to improve decision quality and glycaemic control in people with diabetes making treatment choices using a cluster randomised controlled trial (RCT). Setting 49 general practices in UK randomised into intervention (n=25) and control (n=24). Participants General practices Inclusion criteria: >4 medical partners; list size >7000; and a diabetes register with >1% of practice population. 191 practices assessed for eligibility, and 49 practices randomised and completed the study. Patients People with type 2 diabetes mellitus (T2DM) taking at least two oral glucose-lowering drugs with maximum tolerated dose with a glycosolated haemoglobin (HbA1c) greater than 7.4% (IFCC HbA1c >57 mmol/mol) or advised in the preceeding 6 months to add or consider changing to insulin therapy. Exclusion criteria: currently using insulin therapy; difficulty reading or understanding English; difficulty in understanding the purpose of the study; visual or cognitive impairment or mentally ill. A total of 182 assessed for eligibility, 175 randomised to 95 intervention and 80 controls, and 167 completion and analysis. Intervention Brief training of clinicians and use of PDA with patients in single consultation. Primary outcomes Decision quality (Decisional Conflict Scores, knowledge, realistic expectations and autonomy) and glycaemic control (glycosolated haemoglobin, HbA1c). Secondary outcomes Knowledge and realistic expectations of the risks and benefits of insulin therapy and diabetic complications. Results Intervention group: lower total Decisional Conflict Scores (17.4 vs 25.2, p<0.001); better knowledge (51.6% vs 28.8%, p<0.001); realistic expectations (risk of ‘hypo’, ‘weight gain’, ‘complications’; 81.0% vs 5.2%, 70.5% vs 5.3%, 26.3% vs 5.0% respectively, p<0.001); and were more autonomous in decision-making (64.1% vs 42.9%, p=0.012). No significant difference in the glycaemic control between the two groups. Conclusions Use of the PANDAs decision aid reduces decisional conflict, improves knowledge, promotes realistic expectations and autonomy in people with diabetes making treatment choices in general practice. ISRCTN Trials Register Number 14842077. Does the use of the PANDAs decision aid in general practice improve decision quality and glycaemic control in people who are making treatment choices about their type 2 diabetes mellitus (T2DM) treatment, including whether or not to start insulin? Patient decision aids provide evidence-based information about treatment options, help patients to clarify their values and guide them systematically to make an informed decision. The use of the PANDAs decision aid by doctors and nurses in usual NHS general practice with people who have type 2 diabetes mellitus and are making treatment choices reduces decision conflicts and improves knowledge, realistic expectations and patients’ involvement in decision-making. Glycosolated haemoglobin levels were reduced in both groups at 6 months when compared to baseline (0.24% controls and 0.37% intervention) with a non-significant mean difference between the two groups of 0.351, p=0.117. This study was underpowered to detect a minimally, clinically important difference in glycaemic control between the two groups due to slow recruitment. There was no blinding in this study due to the nature of the intervention which may have influenced the outcome assessment. This was a pragmatic trial and there may have been variations in how the decision aid was used in different general practices which may have diluted the effect of the study. Currently, the NICE guidelines recommend a combination of metformin and insulin secretagogues in those who have inadequate blood glucose control with monotherapy. For those for whom dual therapy has been unsuccessful, either insulin or a thiozolidinedione should be added to optimise glycaemic control.3 Frequently, this poses a clinical dilemma for both patients and healthcare providers; both parties need to agree which next treatment option to pursue and this includes whether or not to start insulin therapy. However, patients may be fearful of needles and the side effects of insulin (eg, hypoglycaemia); they need to acquire new skills; change their daily routine and address the challenge of glucose monitoring.6 Similarly, doctors may be hesitant to prescribe insulin due to their own lack of relevant skills, time pressures and a fear of increasing the risk of side effects.7 ,8 In this category of patients, the decision-making process is a complex one. Studies have shown that patients usually make decisions based on emotions such as trust, rather than on the information given by their healthcare providers.9 For their part, doctors do not necessarily follow evidence-based guidelines10 and it was in this context that the PANDAs decision aid was developed to facilitate shared decision-making between clinicians and patients when making decisions about the treatment of their diabetes at this stage of their illness. The development of the PANDAs decision aid will be described elsewhere. The primary research question was “Does the use of the PANDAs decision aid improve decision quality in patients with T2DM who are making a decision whether or not to start insulin in general practice?”. The study focused on people with T2DM who had poor glycaemic control (HbA1c >7.4 mmol/l or IFCC HbA1c >57 mmol/mol) and who, despite receiving optimal oral glucose lowering therapy, required ‘step-up’ treatment. A cluster randomised controlled trial (RCT) was carried out to evaluate the clinical effectiveness of the decision aid on decision quality and glycaemic control. The setting for this study was general practices in Sheffield, Rotherham and Doncaster with recruitment being undertaken through the National Institute for Health Research Primary Care Research Network (PCRN) and the Cutler Group of South Yorkshire Research Practices. The recruitment of practices and patients began in 2008 and the data collection ended in 2011. 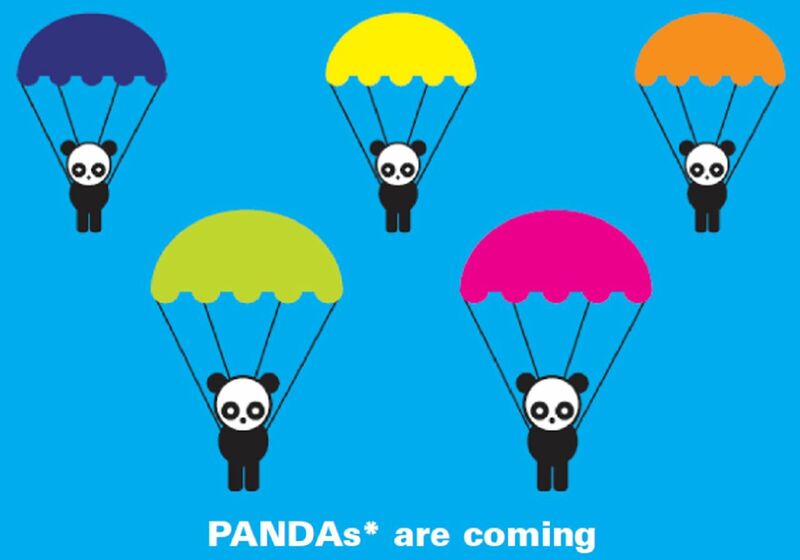 PANDAs postcard: an example of the viral marketing strategy to recruit practices. The inclusion criteria for general practices were: >4 medical partners; list size >7000; and a diabetes register with >1% of practice population. The participating general practices were asked to screen their computerised diabetes register for eligible patients with T2DM (aged >21 years). The inclusion criteria were: people with T2DM who were taking at least two oral glucose-lowering drugs with maximum tolerated dose and had a latest HbA1c greater than 7.4% (IFCC HbA1c >57 mmol/mol) or had been advised in the preceeding 6 months to add or consider changing to insulin therapy. The exclusion criteria were: patients who were currently using insulin therapy; had difficulty reading or understanding English; had difficulty in understanding the purpose of the study; had visual or cognitive impairment and were mentally ill. The patients were contacted by a letter from their general practitioners (GPs) and invited to participate in this study. If they agreed, they were sent details of the study (including the information sheet) and asked to attend an appointment at their regular practice where consent to the study was obtained by the researchers. Practices were incentivised to take part in the trial, receiving a nominal payment to cover legitimate expenses. This was a pragmatic trial and all eligible and willing practices were randomly allocated by a computer to two groups: the intervention group used the PANDAs decision aid when making the specified treatment choices and the control group delivered usual care. We stratified the practices according to the Practice list size. Each practice was considered a cluster and all patients within the cluster received either the intervention or usual care. The practices were the units of randomisation, since it would have been difficult to allocate two patients in the same practice to different arms of the trial. Blinding of the intervention and assessment of the process measures were not feasible in view of the nature of the intervention studied. A statistician generated the random allocation sequence while a secretary who was not involved in the research study assigned participants to either the intervention or control groups. A researcher and a research nurse enrolled the participants into the study. The patient participants were given the PANDAs decision aid (box 1) by the researcher to read and complete prior to the consultation in the waiting room. This was followed by the consultation with the GP or the practice nurse facilitated by the use of the PANDAs decision aid. In the control group, the GP and the practice nurse did not receive any training and the PANDAs decision aid was not used. The GPs or the nurses conducted a normal consultation with the patient. The primary outcome measures were decisional conflict based on the Decisional Conflict Scale score,15 ,16 (immediate) used as an indicator of decision quality and glycaemic control (glycosolated haemoglobin, HbA1c) at 6 months. Knowledge and realistic expectations of the risks and benefits were assessed by asking the patients to indicate their perceived chance of experiencing the side effects of insulin therapy and diabetic complications. Operational definitions of the secondary outcome measures were agreed as (1) knowledge: about the treatment option that is most effective in reducing blood glucose level and diabetic complications; (2) realistic expectations: a self-reported chance of experiencing hypoglycaemia, gaining weight and developing complications; (3) preference option: preferred treatment options of initiate insulin, adhere to diabetes advice more regularly or make no change; (4) participation in decision-making: using the Control Preference Scale Scores and (5) regret: using the Regret Scale Scores. The secondary measures were other decision quality indicators (knowledge of treatment options, realistic expectation, preference option, proportion undecided, participation in decision-making); duration of consultation; and outcome of decision-making (regret and persistence with the chosen option). Persistence with the chosen option is a single self-reported item which asked the participant what their treatment was 6 months after the intervention. They were considered to be persistent with their decision if there was no change in the treatment in the past 6 months. The practice provided the baseline and 6-month follow-up data. Baseline data comprised practice and clinician profile, patients’ socio-demography, diabetes profile (duration, complication, prescription, glycaemic control), comorbidities (eg, hypertension, coronary artery disease, dyslipidaemia and chronic kidney disease) and previous T2DM education. Immediate postintervention data collected were decision quality indicators and duration of consultation. Six-month data comprised HbA1c, regret score and persistence with the decision. Assuming an intracluster correlation coefficient of 0.047 for HbA1c22 and a cluster sample size of 5 patients per practice, with 80% power and 5% (two-sided) significance, 160 patients in each group are required to allow the detection of 0.5% (SD 1.5%) difference in HbA1c.23 The total number of practices required, therefore, was estimated to be 64. When using the total DCS score as the primary outcome measure and using a similar method to calculate sample size, the total number of participants needed was 86 and the total cluster size was estimated to be 17. We aimed for the larger sample size for the design of this study. The outcome variables were treated as continuous and we used multiple regressions with generalised estimating equations (GEE) and exchangeable correlation to allow for clustering. Multiple logistic regression with GEE was used for binary outcomes in the secondary analysis. If a patient in the intervention arm refused to use the decision aid, they were still included in the intervention group for analysis and were analysed according to the intention-to-treat principle. Forty-nine general practices were recruited into the study. The practices in both arms of the study were well matched in terms of mean list size, mean diabetes list size, mean number of partners and practice nurses and mean Index of Multiple Deprivation Scores (table 1). Table 2 compares the sociodemographic and clinical profiles of patients between intervention and control groups. The mean age of the patients was 64.6 years (range 39–87). The patients in the intervention group and control group were broadly similar except that the patients in the intervention group were older and more likely to have coronary heart disease. In both groups the patients were more likely to consult nurses for diabetes related conditions than a doctor (mean number of consultations with nurses and GPs were 2.03 and 1.15, respectively). The mean length of the initial consultation for patients, when entering the study, in the intervention and control groups was 15.31 and 16.95 min, respectively (mean difference 1.67 min, 95% CI 0.93 to 4.27 min). The mean difference between the intervention and the control groups on the total score for decisional conflict was −7.72 (95% CI −12.5 to −2.97). The distribution of decisional conflict subscores are shown in table 3. The total and subscores for every decisional conflict domain, apart from the support subscore, were significantly lower in the intervention group. The difference in uncertainty, informed, value clarity and effective decision subscores between the intervention and control groups remained statistically significant after adjusting for differences in age, education and gender. Table 4 shows the HbA1c levels for both the intervention and the control groups at 6 months. HbA1c levels reduced in both groups at 6 months compared to baseline (0.24% in the control group and 0.37% in the intervention group). The mean difference in the HbA1c level at 6 months between the two groups was 0.351 (95% CI −0.088 to 0.789, p=0.117) after adjusting for age, education, gender, baseline HbA1c, insulin status and clustering. A comparison of the proportions of patients who answered the ‘knowledge’ questions correctly between the intervention and the control groups showed there were more patients in the intervention group who answered the questions correctly compared to those who received ‘usual care’ (table 5). Patients who used the decision aid had significantly more realistic expectations about the side effects of insulin therapy compared to those who did not (table 5). Almost all patients in the intervention group, compared to those of the control group, knew correctly their risk of hypoglycaemia (81% vs 5.2%, p<0.001) and weight gain (70.5% vs 5.3%, p<0.0010). More people knew their risk of complications in the intervention group if they were to take insulin, although most still got it wrong (26.3% vs 5.0%, p<0.001). Table 6 shows that the preferred choices of patients in the intervention and control groups were similar after consultation. Table 7 shows that patients in the intervention group were over three times more likely to change from undecided to decided than in the control group, although, this was not statistically significant (p=0.15). There were significant differences in patients’ decision-making role between the intervention and control groups (p=0.012 χ2; table 8). It may be seen that a smaller proportion of patients in the intervention group described their decision about their diabetes treatment as ‘passive’ or ‘collaborative’. However, patients in the intervention arm were more likely to demonstrate autonomy in their decision-making about their treatment compared to the control group (64% compared to 43%). Further analysis showed that an individual patient was 1.23 (95% CI 1.05 to 1.44, p=0.008) times more likely to make an ‘autonomous’ decision using the PANDAs decision aid when the intervention and control groups are compared, allowing for age and gender. Table 9 shows that there was no difference at 6 months in the Regret Scale, but that patients in the intervention group were rather more likely to persist with their chosen option. Most of the PDA users found the PDA useful. When asked about their opinion of the PDA, 83.2% (n=88), 86.3% (n=89), 86.3% (n=89) and 88.4% (n=90) thought that the PDA had helped them to recognise that a decision needs to be made; know that the decision depends on what matters most to them; think about how involved they wanted to be in the decision; and prepare to talk to the nurse or doctor about what mattered most to them’, respectively. The PANDAs decision aid was designed to facilitate decision-making between clinicians and their patients with T2DM who were taking at least two oral glucose-lowering drugs at maximum tolerated dose, had a high HbA1c level and were considering future treatment options including the introduction of insulin. Its evaluation was based on the International Patient Decision Aids Standards (IPDAS) recommendations25 and the use of the ODSF Framework.26 The PANDAs trial provides good evidence not only for the clinical effectiveness of decision aids in usual NHS general practice but also for the utility and feasibility of use by both nurses and doctors. In addition, the PANDAs decision aid itself and its use were both effective and acceptable to people with diabetes making treatment choices during clinical consultations. The findings from the PANDAs trial support the results of other studies which have evaluated the clinical effectiveness of decision aids11 ,15 in demonstrating an improvement in decision quality when a decision aid is used in clinical consultations. Decisional conflict scores, for example, when adjusted for age, education and gender were significantly lower in the intervention group postconsultation when compared to the controls, apart from the support subscore. It is interesting to note that the support subscore in the intervention group was not significantly lower than the control group—this may be the result of a ‘ceiling effect’ since patients in both the intervention and control groups may already have been receiving very good diabetes care from their general practices. Other indicators of decision quality used in the study also demonstrated an improvement when PANDAs was used in consultations—there was, for example, a highly significant difference in the knowledge of people about which particular treatment choice had the greatest chance of lowering blood sugar in those who used the decision aid—although this was not the case when the chance of insulin in lowering complications was considered—here no difference in knowledge was observed. Some patients believe that insulin itself causes complications as a result of misperception27 ,28 and this may explain why knowledge did not improve in the intervention group. However, highly significant differences were observed between the intervention and control groups in all the three domains of realistic expectations (‘hypos’, weight gain and complications) supporting the notion that the PANDAs decision aid ensured that people were fully informed about the potential risks of each option when making their treatment choices. The glycaemic control improved in both groups 6 months after the intervention although no significant difference in glycaemic control was observed between the two groups. Some GPs in the study expressed concern at the start of the trial that glycaemic control could deteriorate in some patients in the intervention group as a result of them choosing not to start insulin. Further study is necessary to confirm this as this study did not have sufficient power to detect the difference in glycaemic control. Treatment decisions made using a decision aid should, of course, be ones that are both informed and value-based, and the PANDAs intervention was focused on the process of decision-making rather than the outcomes of those decisions. It is therefore important to note that PANDAs was not designed to persuade people to start treatment with insulin but to help them make an informed treatment decision which was consistent with their values and wishes. Indeed, there was reduced decisional conflict within the intervention group compared to the control and the decisions which were made were far more likely to be autonomous in nature rather than passive. Participants in the intervention group were also significantly more likely to persist with their chosen option at 6 months. This supports the hypothesis that people who use a decision aid such as PANDAs are more likely to make an informed and value-based decision and are therefore more likely to persist with their treatment choice. Concordance with agreed treatment is, in turn, more likely to lead to better health outcomes and quality of life. No significant difference was observed on the Regret Scale scores and although people in the intervention group were over three times more likely to change from undecided to decided (ie, come to a treatment decision after their consultation) in the control group, this difference was not statistically significant. The PANDAs trial was a pragmatic one reflecting the reality of primary care diabetes clinics which are mainly run by practice nurses. The mean number of consultations with the nurses, for example, was greater than the mean number of consultations with the GPs and within the intervention group patients were more likely to use the PANDAs decision aid with the practice nurse than the GP. At baseline the distribution of the mean number of diabetes related general practice visits was different in the intervention and control groups with the practice nurses providing more clinical care to people with diabetes in the former reflecting different patterns of care in the different practices. The PANDAs decision aid is one of the few decision aids which focus on decision-making in chronic diseases, which take place over several consultations. According to the latest Cochrane Decision Aid Inventory, 10 decision aids have been developed for diabetes.31 Four decision aids focus on insulin treatment, of which two are for children, one for adults deciding on premixed insulin and one for insulin initiation in T2DM (PANDAs decision aid). However, unlike PANDAs, none have been developed for making treatment decisions about glycaemic control. Although decision aids have positive effects on many aspects of the decision-making process, there remains a large gap in the literature on how decision aids fare ‘in the real world’. O'Cathain and Thomas33 conducted a pragmatic trial of a decision aid in a maternity ward and found that health professionals were not making use of the available decision aids, although they reported that they approved of them. The reasons for not using them included ‘disagreement’ with the available decision aids, lack of resources, perceived patients’ reluctance to participate and unwillingness to change their ‘routine care’.33 O'Donnell et al34 classified the barriers to the use of decision aids in the clinical situation under three categories—the nature of the decision aid itself, the attitudes of patients and healthcare professionals and organisational barriers such as institutional culture and commitment, time constraint and costing. A number of authors have proposed various strategies to facilitate such use of decision aids in different clinical settings.35 The effectiveness of these proposed strategies has not yet been formally evaluated. The PANDAs trial however found the decision aid to be highly acceptable to both clinicians and people with diabetes in NHS general practice—a detailed process evaluation of its use can be found elsewhere. This report identifies some of the key challenges to its widespread implementation in NHS general practice. However, most studies of decision aids have not shown an increase in the level of satisfaction with the decision-making process or the decision itself. This may be another example of the ‘ceiling effect’ whereby the satisfaction with the service or consultation was already high before the intervention. It has also been observed that people tend to report satisfaction after they have made the decisions because they tend to ‘rationalise’ and adapt quickly to uncertain events.36 Moreover, the effect of decision aids on quality of life and health outcomes indicators which are commonly used in health technology assessments, have yet to be proved. More plausible intermediate outcomes, such as concordance with treatment and health service utilisation, could be used as alternative indicators to evaluate the use of decision aids. For the use of PDAs, such as PANDAs, in routine clinical practice to become the accepted norm, the new GP clinical commissioning groups will need to be aware of the benefits of the use of such aids to ensure that decision aids become a professional standard in, for example, newly commissioned pathways for a long-term condition such as diabetes. Investment will also be necessary for the development and the continuing evaluation of decision aid use, as well as for the training of all members of the multidisciplinary team in the importance and in the practical use of decision aids in primary care. Both the patient's experience and patient/clinician satisfaction with the care received and provided is likely to be much improved if this professional standard is adopted by commissioning groups. The use of the PANDAs decision aid by healthcare professionals in usual NHS clinical practice with T2DM patients who are making treatment choices in general practice improves decision quality by reducing decisional conflict, improving knowledge and promoting realistic expectations but has no demonstrable effect on glycaemic control. Patient autonomy however is strengthened by the use of the decision aid and longer term clinical outcomes are likely to be improved. A larger trial of the PANDAs decision aid will be necessary to determine if biomedical parameters are improved when the decision aid is used in normal NHS practice. The study failed to achieve its planned sample size as a result of recruitment difficulties. The reasons for this were the increase in availability of new oral and injectable glucose-lowering drugs (eg, GLP1 agonosts, exenatide) which were not available at the start of the project, significant staff changes in 2008/2009 and the reluctance of practices to participate in the study because of a potential H1N1 flu pandemic in summer 2009. As a result each practice was only able to identify 3–5 eligible patients for inclusion in the trial. It proved impossible to secure a funded time-extension to the study and as a result recruitment ceased at 175 participants. This meant that the study was underpowered to detect a difference of 0.5% in HbA1c between the two groups. The original recruitment period was 12 months but because of the problems surrounding recruitment outlined above, recruitment was extended to 20 months. There was also some evidence of inadvertent recruitment bias with 95 participants allocated to the intervention group and 80 to the control group. This is an important and well-recognised consequence of a cluster RCT design and is probably the result of the PANDAs practices being more likely to recruit participants to the trial. There were some differences in baseline characteristics between the intervention and the control and these were included in an analysis which explored how the estimates of the treatment effect changed when baseline differences were controlled for. Ethical permission to conduct the study was received from the North Sheffield Local Research Ethics Committee (07/Q2308/53). Expert specialist advice was received from Professor Simon Heller, University of Sheffield. We thank Ms Rachel Dwyer for research support, and Dr Robert Dixon, Sheffield Care Trust, Mr Robert Glendenning and Mr Ian Brown for managerial support. Ms Sharon Hart, University of Sheffield, for administrative support. Members of the PANDAs Advisory Group (Alicia O'Cathain, Hina Kanabar, Hugh McCullogh, Maxine Johnson, Michelle Horspool, Mick Taylor, Sue Beveridge, Mary MacKinnon). Members of the Sheffield Diabetes UK Group. Particular thanks to all those doctors, nurses and people with diabetes for their contributions without whom it would not, of course, have been possible to undertake the PANDAs trial. Diabetes UK. Diabetes in the UK 2011/2012: Key statistics on diabetes. http://www.diabetes.org.uk/Documents/Reports/Diabetes-in-the-UK-2011–12.pdf (accessed 12 Mar 2012). Diabetes.co.uk. Cost of Diabetes. http://www.diabetes.co.uk/cost-of-diabetes.html (accessed 12 Mar 2012). National Institute for Health and Clinical Excellence (NICE). Type 2 diabetes: newer agents. London: NICE, 2009. UKPDS Group. Intensive blood glucose control with sulphonylureas or insulin compared with conventional treatment and risk of complications in patients with type 2 diabetes (UKPDS 33). Lancet 1998;352:837–53.
. Glycemic control with diet, sulphonylurea, metformin, or insulin in patients with type 2 diabetes mellitus: progressive requirement for multiple therapies (UKPDS 49). JAMA 1999;281:2005–12.
. Insulin therapy and patient attitudes at two VA centers. Diabetes 2000;49:A445.
. Barrier to insulin therapy in type 2 diabetes: a qualitative focus group research among patients, GPs and diabetologists. Eur Union Gen Pract Clin J 2002;3:33–40.
. Patients with poorly controlled diabetes in primary care: healthcare clinicians’ beliefs and attitudes. Postgrad Med J 2006;82:347–50.
. Strategies to help patients understand risks. BMJ 2003;27:745–8.
. Clinical guidelines in primary care: a survey of general practitioners’ attitudes and behaviour. Br J Gen Pract 1995;45:643–7.
. Decision aids for people facing health treatment or screening decisions. Cochrane Database Syst Rev. 2011; CD001431.
. The framing of decisions and the psychology of choice. Science 1981;211:453–8.
. A decision aid for women considering hormone therapy after menopause: decision support framework and evaluation. Patient Educ Couns 1998;33:267–79.
. Validation of a decisional conflict scale. Med Decis Making 1995;15:25–30.
. Decision making: a psychological analysis of conflict, choice and commitment. New York: Free Press, 1977.
. Information and decision making preferences of men with prostate cancer. Oncol Nurs Forum 1995;22:1401–8.
. Measuring the involvement of people with HIV in treatment decision making using the Control Preference Scale. Med Decis Making 2008;28:899–908.
. Validation of a decision regret scale. Med Decis Making 2003;23:281–92.
. Randomised controlled trial of patient centred care of diabetes in general practice: impact on current wellbeing and future disease risk. BMJ 1998;317:1202–8. DAFNE Study Group. Training in flexible, intensive insulin management to enable dietary freedom in people with type 1 diabetes: dose adjustment for normal eating (DAFNE) randomized controlled trial. BMJ 2002;325:746–51. , Altman DG for the CONSORT Group. CONSORT statement: extension to cluster randomised trials. BMJ 2004;328:702–8.
. International Patient Decision Aids Standards (IPDAS) Collaboration. Developing a quality criteria framework for patient decision aid: online international Delphi consensus process. BMJ 2006;333:417–19.
. Primary health care professionals’ views on barriers and facilitators to the implementation of the Ottawa Decision Support Framework in practice. Patient Educ Couns 2006;63:380–90.
. Barriers to insulin initiation: the translating research into action for diabetes insulin starts project. Diabetes Care 2010;33:733–5.
. Measuring psychological insulin resistance: barriers to insulin use. Diabetes Educ 2008;34:511–17.
. A randomized trial of the choice of treatment in prostate cancer: design and baseline characteristics. BJU Int 2001;88:708–15.
. Randomised controlled trial of an interactive multimedia decision aid on benign prostatic hypertrophy in primary care. BMJ 2001;323:493–6. Cochrane Library. Cochrane Inventory of Patient Decision Aids. http://decisionaid.ohri.ca/cochinvent.php (accessed 12 Mar 2012).
. Decision aids in patients with type 2 diabetes considering treatment options: qualitative analysis of consultations and interviews from the PANDAs study. Diabet Med 2011;2(S1):118.
. Evaluating decision aids—where next? Health Expect 2004;7:98–103.
. Understanding and overcoming the barriers of implementing patient decision aids in clinical practice. J Eval Clin Practice 2006;12:174–81.
. Toward the ‘tipping point’: decision aids and informed patient choice. Health Aff (Millwood) 2007;26:716–25.
. Decision aids for people facing health treatment or screening decisions. Cochrane Database Syst Rev 2009;(3). CD001431.
. Care planning: improving the lives of people with long term conditions. UK: Royal College of General Practitioners, 2011. Contributors NM, CJN, MCJ, BC, AB and IB were involved in substantial contribution to conception and design, acquisition of data or analysis and interpretation of data; NM, CJN and MCJ carried out drafting the article or revising it critically for important intellectual content. NM, CJN, MCJ, BC, AB and IB were involved in final approval of the version to be published. NM is the guarantor. This article presents independent research funded by the National Institute for Health Research (NIHR) under its Research for Patient Benefit (RfPB) Programme (Grant Reference Number PB-PG-0906-11248), ISRCTN National Trials Register Number 14842077 and the Sheffield Health and Social Care NHS Foundation Trust. The views expressed are those of the author(s) and not necessarily those of the NHS, the NIHR or the Department of Health. Funding funded by National Insitute for Health Research, Research for Patient Benefit. NM, CJN, MC, BC, IB and AB have support from the University of Sheffield for the submitted work. Correction Notice This paper has been corrected since it was first published. A number of typographical errors were missed before publication. These have since been corrected.